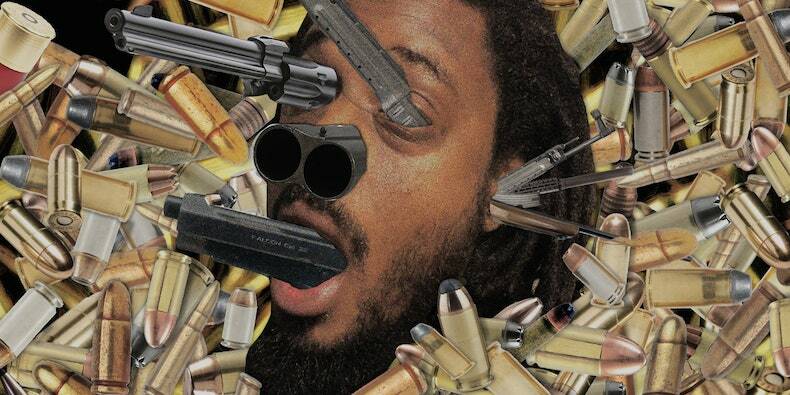 Quelle Chris has announced a new studio album. Guns will be released on March 29 through Mello Music Group. The album marks the rapper’s first solo album since 2017’s Being You Is Great, I Wish I Could Be You More Often, and is led by the single “Guns.” The track, produced by Chris Keys, features additional vocals by Jean Grae, with whom Chris dropped Everything’s Fine last year. Listen to the single below (via Complex). In addition to Jean Grae, Guns features Mach-Hommy, Denmark Vessey, and others. Find the tracklist and cover art below.